1. 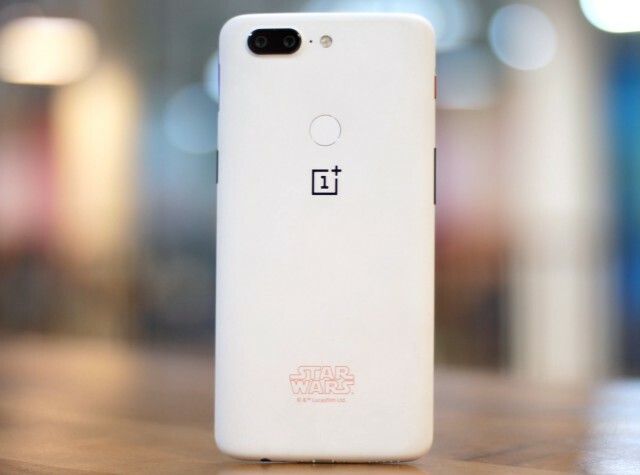 The OnePlus 5T was launched only in Midnight Black but the Chinese giant is bringing back a OnePlus One-style “Sandstone White” back for the limited edition Star Wars variant. The Chinese giant has combined the Crait planet’s salt white color from the new film with their premium Sandstone material to get the new Sandstone White back. 2. 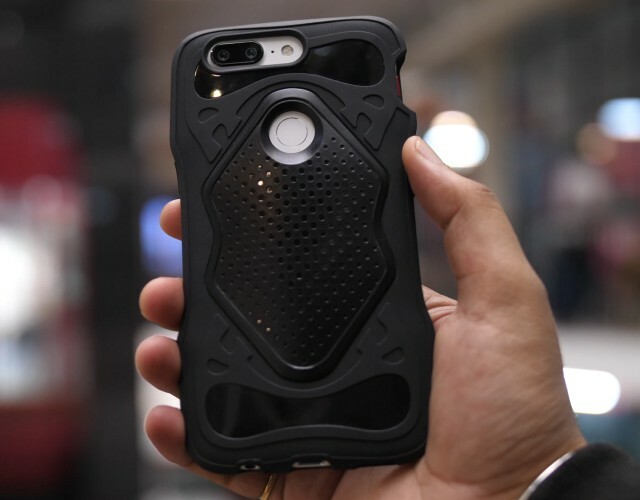 There’s a red-colored “Star Wars” logo printed at the bottom rear of the device, so you can boast that you’re truly a fan of this space fantasy saga. The OnePlus logo on the rear has also got a black paint job to complement the white back. 3. All the buttons, as well as the SIM tray, are still painted black whereas the alert slider on the left is now colored ‘Mineral Red’ to match the theme of Star Wars: The Last Jedi. 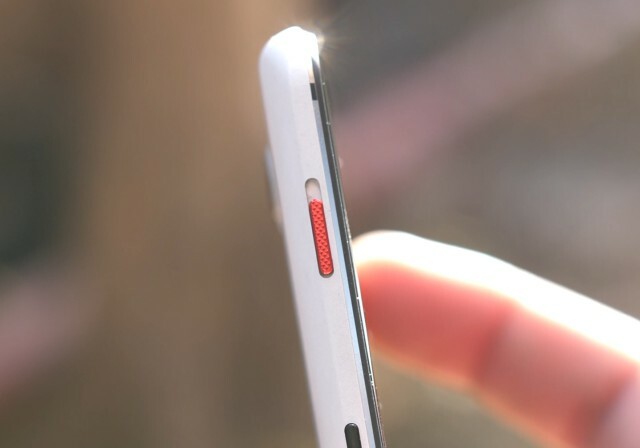 We also have a white-colored ceramic fingerprint sensor on the back. 4. 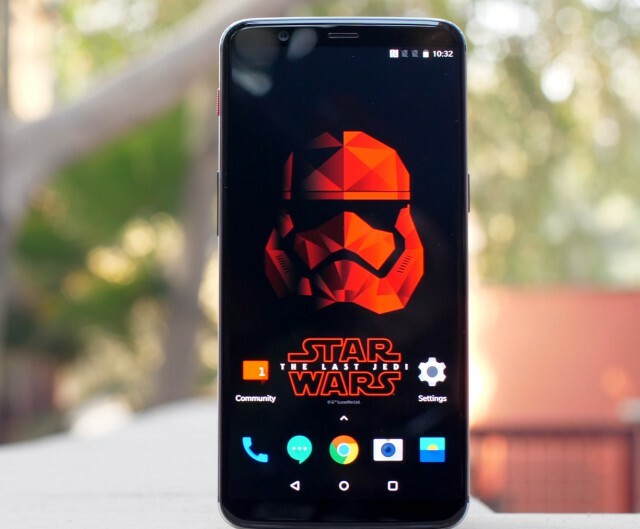 On the software front, OnePlus has included a custom ‘Star Wars’ theme to match all of the hardware cosmetic changes. You also get a brand new set of Star Wars-inspired wallpapers with the OnePlus 5T Star Wars Edition. 5. Everyone buying the OnePlus 5T Star Wars Edition smartphone will also get a bulky yet sturdy ‘Kylo Ren-inspired’ back cover in the box. As you can see below, it has indents for your hands so that it is comfortable to hold. Now, the moment of truth that you’ve all been eagerly waiting for. The limited edition Star Wars-themed variant of the OnePlus 5T will retail at ₹38,999. The OnePlus 5T ‘Star Wars Edition’ will go on sale starting at 12:01 am tonight on Amazon.in and OnePlus’ official online store. The launch falls in line with the release of the latest Star Wars movie in Indian theaters. So, is the Force strong with you? 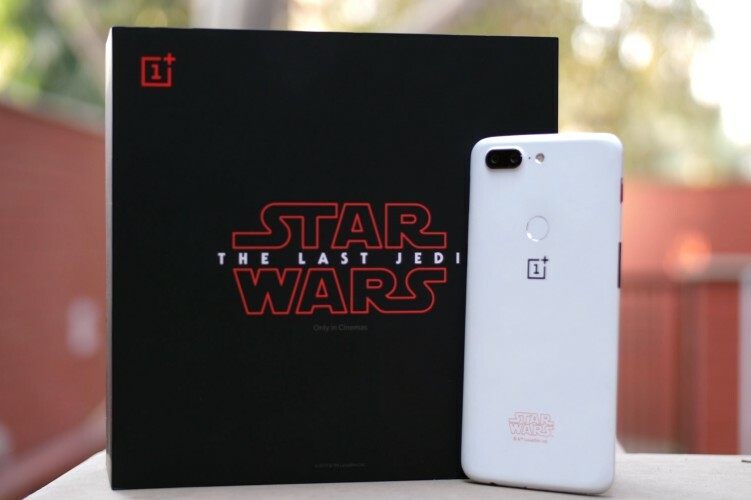 Are you planning to buy the OnePlus 5T “Star Wars Edition” device? Let us know in the comments down below.